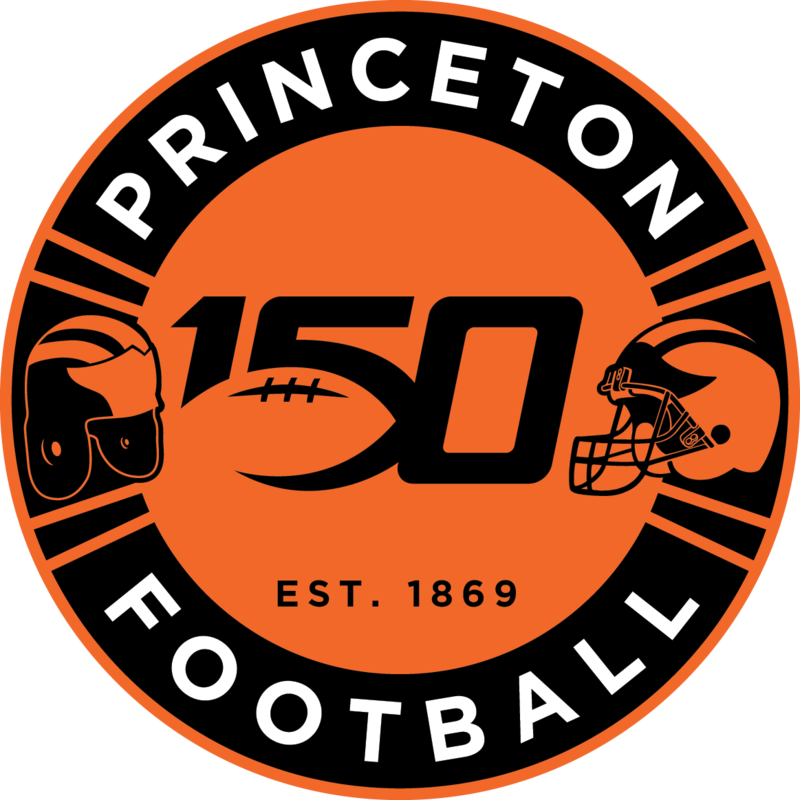 In two years, the tradition of Princeton Football will be honored during the 150th year of College Football, a celebration that will include a November 2019 game in Yankee Stadium against Dartmouth College. 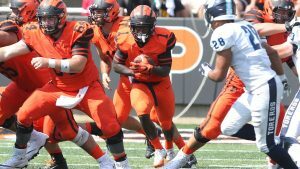 As for the upcoming 2018 season, there are actually several new components to the Princeton Football schedule, which the team announced Thursday. The Tigers will open their season against two new opponents, close it against a different longtime rival, and face Brown during Alumni Weekend on the Princeton campus. After playing Dartmouth in the season finale every year since 1990, Princeton will host Penn on Powers Field, which is tentatively set for Nov. 17, 2018 (official dates/times will be determined after the Ivy League announces the television schedule this summer). Princeton hasn’t played Penn in a season finale since 1885, a 57-0 road win that capped an undisputed 1885 national championship season. This is one of several changes to the overall Ivy League football schedules for the coming fall. While creating regional rivalries for the final weekend of the season was the primary goal, there were several other factors across the league that impacted the decision, including finals schedule and travel distance. That led the athletics directors to approve a few adjustments to the traditional schedule in October of 2012. Among those adjustments was a two-year stretch of Princeton-Harvard matchups that take place in Cambridge. 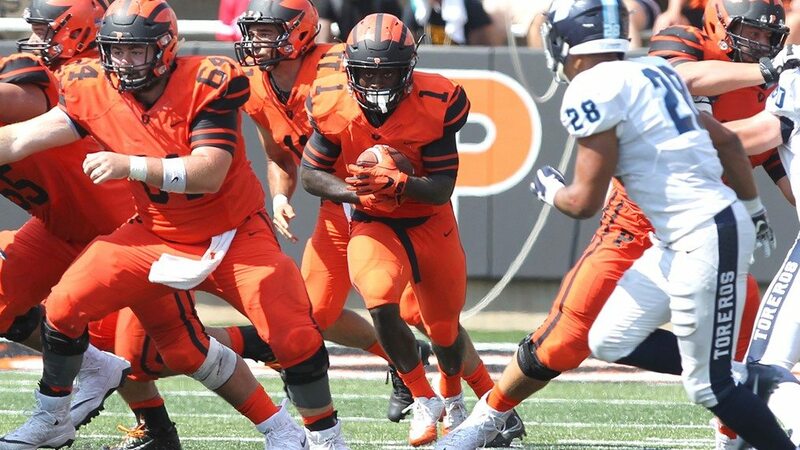 After the Tigers posted a historic 52-17 rout of the Crimson on national television last season, Princeton will return to Harvard next season for a rematch the weekend of Oct. 20. That created one complication for Princeton, which has traditionally set its Alumni Weekend around either the home game against Harvard (even years) or Yale (odd years). With both rivalries set to be played on the road this fall, Alumni Weekend will be Oct. 12-14, set around the Oct. 13 matchup against Brown at Princeton Stadium. During the celebratory 2019 season, Princeton will hold its Alumni Weekend around the Oct. 26 home game against Harvard. The Ivy League season will open Sept. 29 at Columbia, but that will follow matchups against two new opponents for the upcoming season. Princeton will open the season Sept. 15 at Butler, a Pioneer Football League program that went 6-5 last season. That game will serve as the home opener for the Bulldogs, who play in the Sellick Bowl in Indianapolis. The Tigers will make their 2018 home debut the following weekend against Monmouth, a Big South program that made history last weekend by earning its first FCS postseason berth. Monmouth, which broke into the Top 25 last season, finished the year 9-3 and fell to 20th-ranked Northern Iowa in the first round of the FCS playoffs.